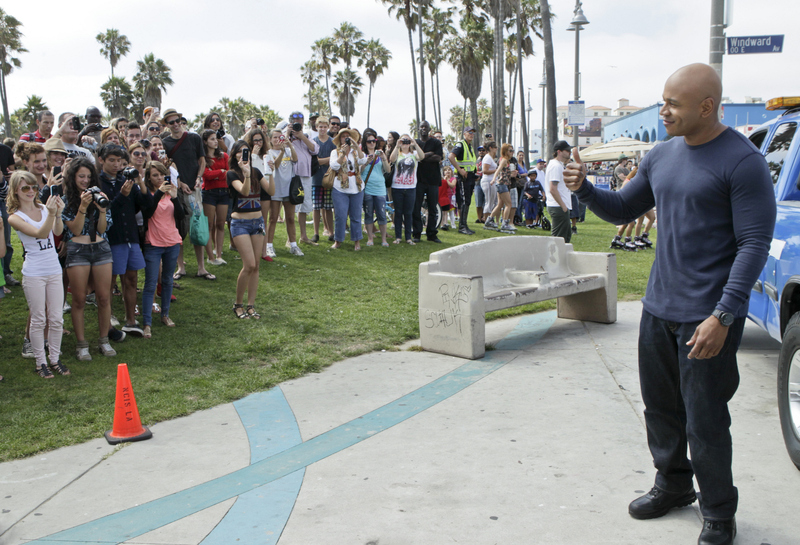 Pictured Behind the Scenes: LL COOL J (Special Agent Sam Hanna). A drone strike on a bomb-making compound in Afghanistan reveals the body of a recently retired Marine, leaving the NCIS: LA team to investigate why the Marine returned to Afghanistan and whether or not he betrayed the country he fought for. Photo: Cliff Lipson/CBS ©2012 CBS Broadcasting, Inc. All Rights Reserved.